Games of Pattern Recognition are among the most useful in a gamified classroom because, like their cousins the games of Pattern Building, they are interested in helping the player develop the critical judgment to recognize like-to-like and then do something about that. Pattern Recognition is the kind of mechanic that can be made accessible to especially young learners, effectively bringing gamified strategies to bear in even Kindergarten or grade 1. The ultimate point of the Pattern Recognition game is virtually self-explanatory...recognize the pattern before everyone else does and win. Anomia is a fun, accessible card game in which players flip cards from a deck, looking for patterns that match. When they turn over a card and find it matches another players' card, those two players must come up with an example of a particular person/place/thing listed on their opponents' card. For example, I flip a card with a # and the world "bridge" and notice that you have a card with the symbol # and the word "fabric." I have to come up with "rayon" faster than you come up with "Golden Gate" in order to win. Bears! is a fun and easy dice-matching game. Potion Explosion is in the vein of classic "match 3" video games in which you are looking for symbol patterns that could explode, scoring you points and changing the dynamic of the board in general. In addition to finding these patterns, players use other patterns to make combinations that could score them even more points. Harder than Bears! and Anomia, but no less engaging. Tracy Wazenegger and I discussed Set on a recent episode of Game Level Learn and I believe (as does she) that it is one of the best of the Pattern Recognition games. Match cards from a field of significantly more cards and win. I have written about Zendo at length and remain of the opinion that it is one of the finest games to use for game-based learning there is. 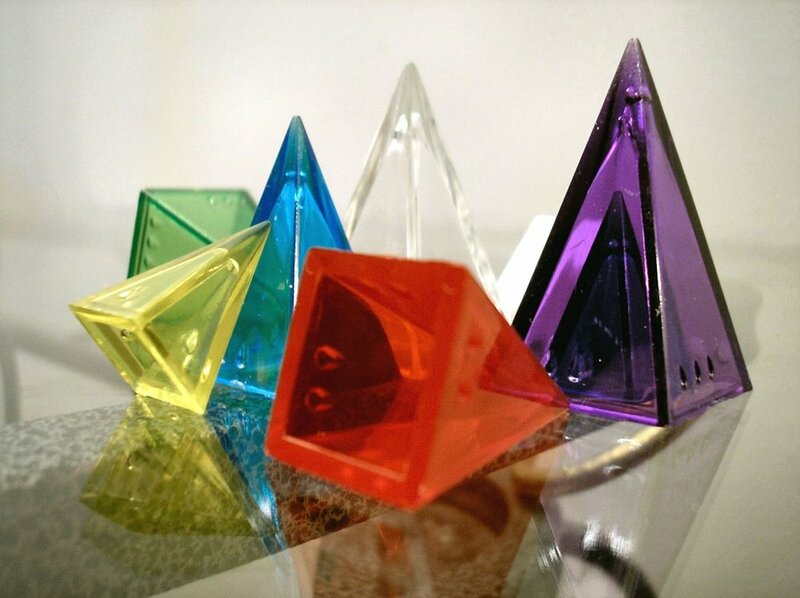 The gameplay of Zendo is straightforward. A player creates a rule that the rest of the players, by using the game's pieces, are trying to discern through inductive reasoning. In this regard, playing the game is precisely like solving a scientific problem by means of the scientific method. Ridiculously interesting and easily leveled so that it's properly hard for an advanced learner and more manageable for a younger one.